They’re a mainstay of the luxury hotel industry, but a controversial topic amongst residential interior designers. Open plan bedrooms and bathrooms may not be the peak trend of mainstream design, but they’re rapidly catching on amongst a single, urban demographic seeking the ultimate in residential chic. If you’ve never enjoyed an open plan bathroom first hand, let us explain the design concept to you. Instead of the traditional separate bedroom and bathroom, an open plan arrangement puts bath and bed in the same living space, often separated by a minimal glass window or tiny divider wall. It’s far from private, but it’s a hit with hotel guests. Both design hotels and boutique establishments have turned to open plan bathrooms over the last decade, knocking down traditional interior walls for a more open arrangement that space and makes exposure something to be embraced. Open plan bathrooms certainly have their advantages. With few interior walls, even the smallest of living spaces can seem large and comfortable. In tiled bedrooms the aesthetic can continue from one room into the other, creating a consistent look that simply isn’t possible in the traditional separate bathroom and bedroom. Along with the advantages, however, are a few downsides. Guests in a shared hotel room that aren’t romantic couples have reported having to leave their rooms when one or the other needs to use the toilet, or take refuge on the balcony while one uses the shower. 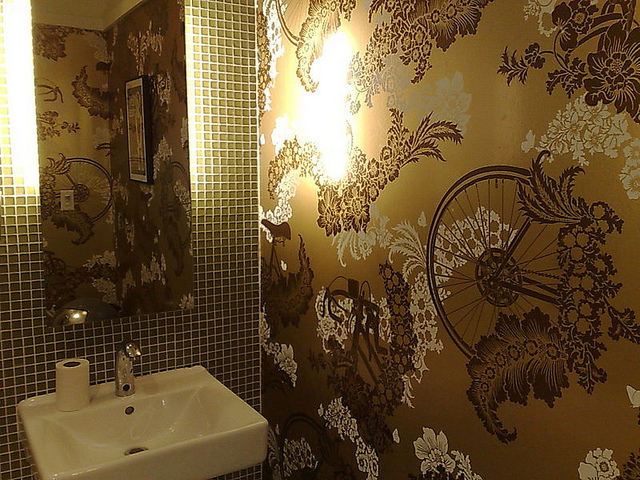 Then there’s the aesthetic side of things – do you really want to wake up staring into your bathroom every morning? Some designers believe that the bathroom is the last refuge of privacy in a shared home, bemoaning the open bathroom and bedroom as an extension of open, spacious design that simply goes too far. Far from being reserved the ultra-modern hotel suites of the world, the open plan bedroom and bathroom arrangement is catching on in more traditional settings. The Lloyd Hotel and Cultural Embassy – set in a World War II prison in Amsterdam – uses open plan bathrooms and sheer glass in its suites to ‘inspire’ its guests. Whether you’re a fan of open plan living spaces or a critic of this decade’s bedroom and bathroom design trend, it’s hard to deny that the open plan bed and bathroom arrangement is striking. With the right colour scheme and bathroom tiles – bought from the Tile Depot, of course – this could be the perfect new look for your home.